ST. CATHARINES, ON – Ontario Beverage Network reports that one of Ontario’s oldest brewpubs has opened a bottle shop and is offering take-home sales of its beers for the first time. 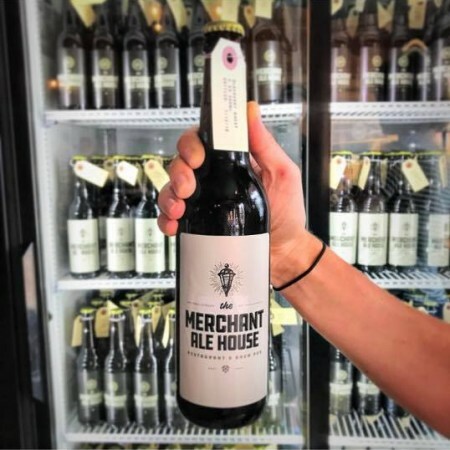 The Merchant Ale House has been open in downtown St. Catharines for 20 years, and has previously offered its beers exclusively on draught at the bar. The retail shop opened on Saturday July 14th, selling 500 ml bottles of Blueberry Wheat (4.4% abv), Blond Bombshell (5% abv), Uncharted Pale Ale (5.2% abv), and Murray Street IPA (6.5% abv). For more details, see the Merchant Ale House on Facebook.